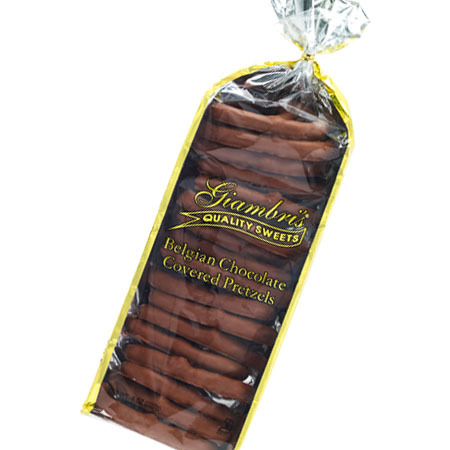 A Half Pound (8 oz.) 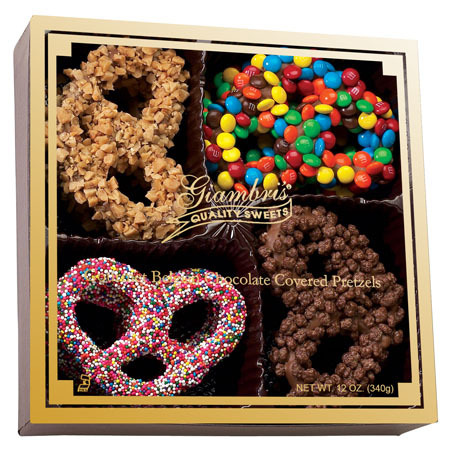 of our two ring Belgian Milk chocolate covered Pretzels in a Giambri's gift bag! 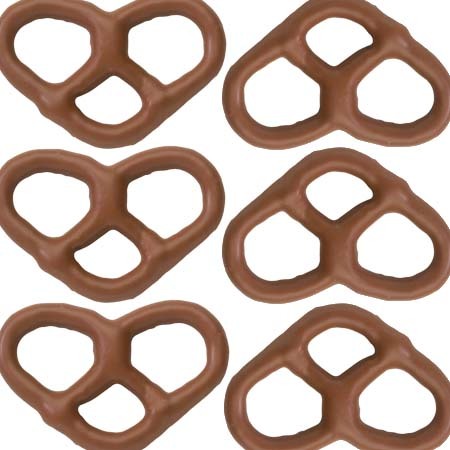 Just as my dark chocolate review indicated love all of them. 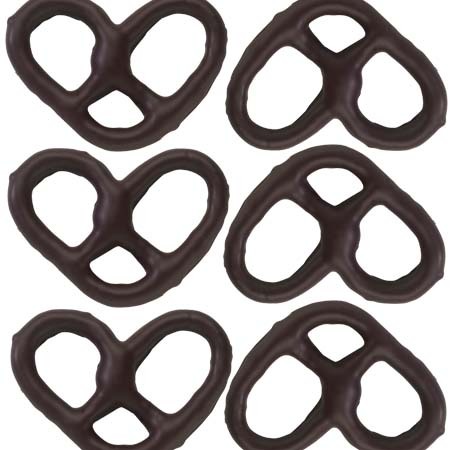 We try to eat just one pretzel each daily!